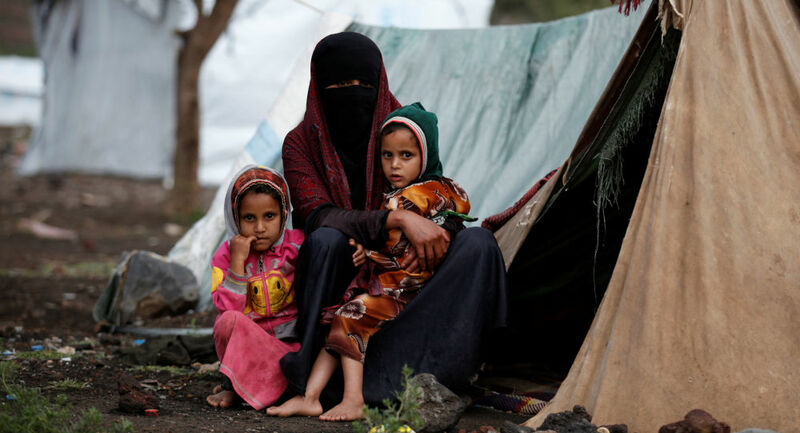 A medical source reported that two displaced people died as a result of the extreme cold wave in a camp in Marib province. The source said Karaa hospital in Marib received 23 cases of people suffering from acute pulmonary inflammation during the first week of this month. The source added that six cases have been transferred to central care as a result of the deterioration of their health condition. The deputy of Marib province Dr. Abd Rabbo Meftah confirmed that according to the official statistics the number of people displaced to the province reached 2,553,000 displaced persons. Dr. Meftah appealed to the regional, national and international organizations for emergency humanitarian intervention. He asked them to take action urgently and provide sufficient food, water and shelter supplies for IDPs.